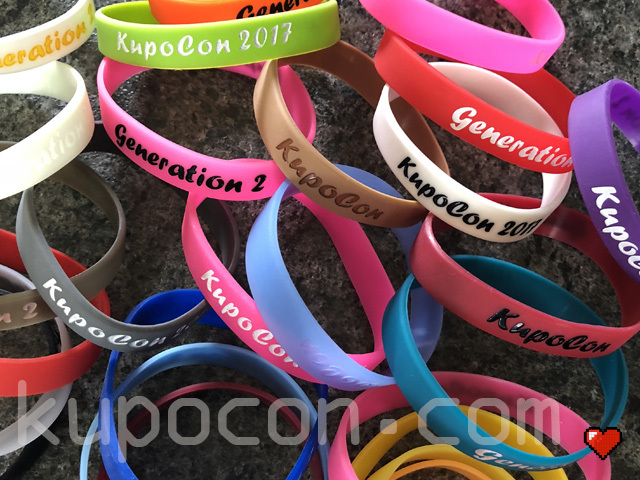 Notes: A visual item to gain entry into KupoCon (either Day or Evening event), and an indicator of who’s who at the events. 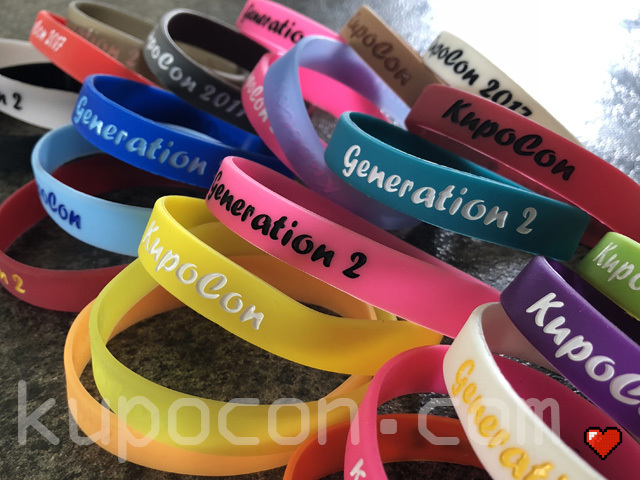 Wristbands are given to every attendee, each ticket tier given its own colour. 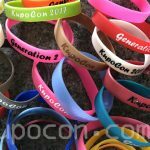 Wristbands are easy tools at events to help show attendees who’s a KupoCon member of staff, volunteer or even a guest. Some of the evening event wristbands even glow in the dark!